The following news contains spoilers for the season finale of The Walking Dead. At the tail end of last night’s finale The Walking Dead gave major hints regarding where the third season would be heading, including a final shot of the prison our band of characters use as shelter in the comics. 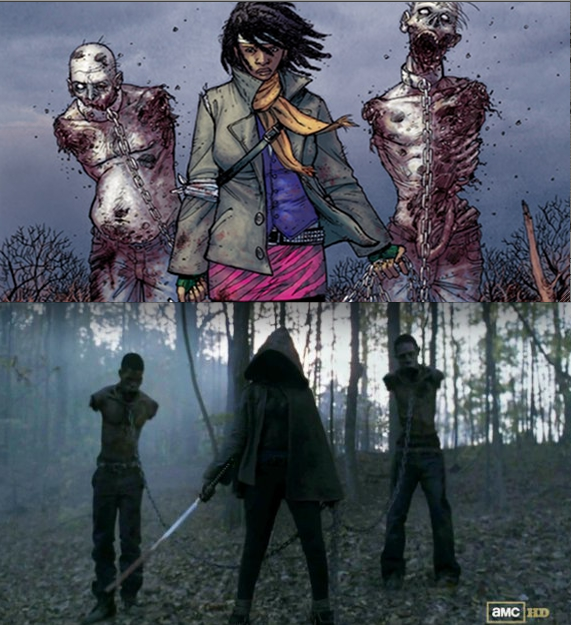 Another iconic comic character made her debut in the episode: the katana wielding Michonne. The show’s producers also recently cast character actor David Morissey as the villainous Governer, the primary antagonist for Rick and Co once they learn their way around this brave new zombie-fied world. I personally found season two to be a marked improvement over season one, and now that the herd has been thinned and the major meat of the comics is finally getting play I really look forward to the show’s third season. Comments for “The Walking Dead” Casts Major Season Three Characters are now closed.